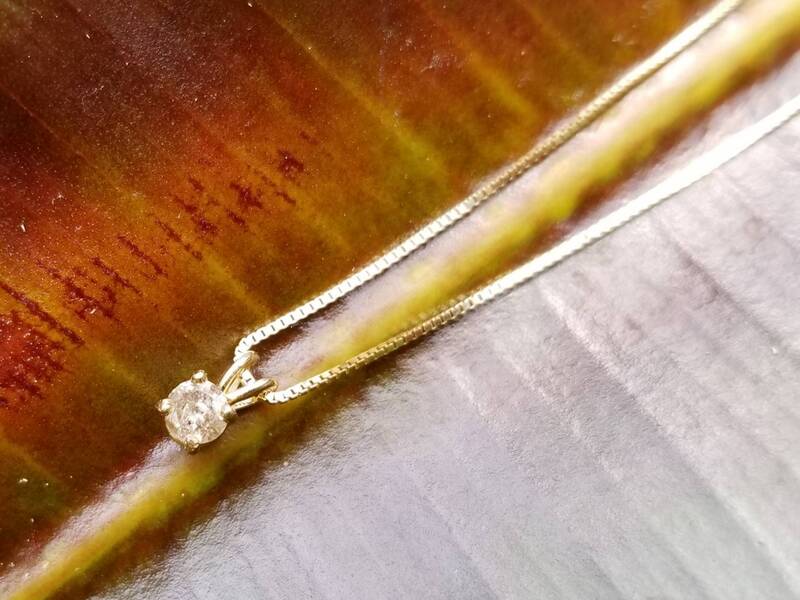 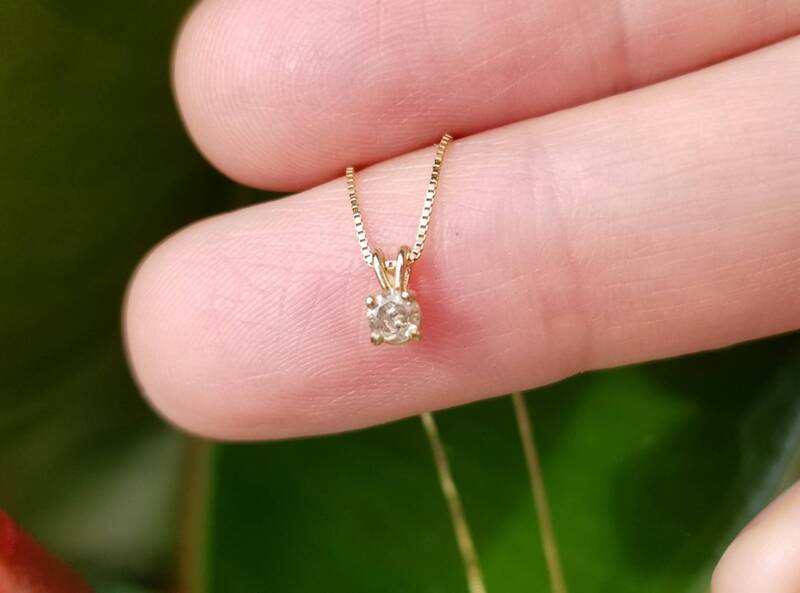 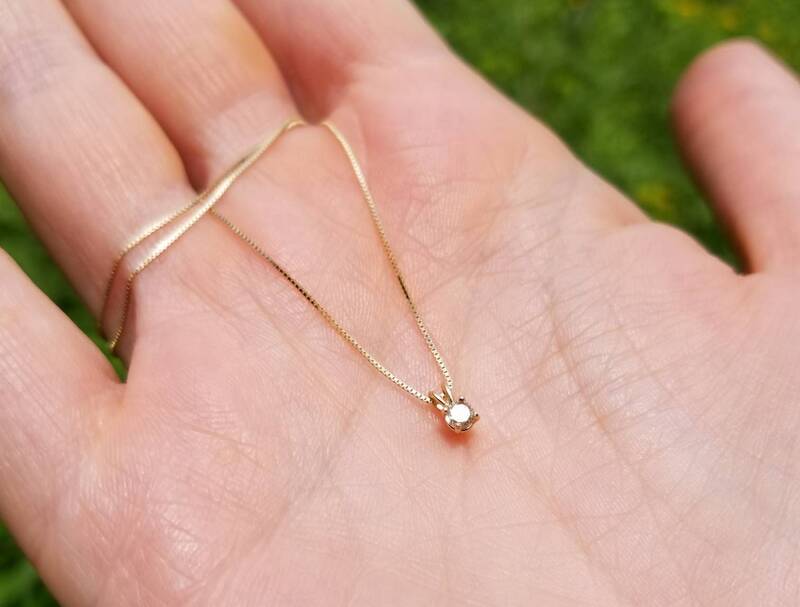 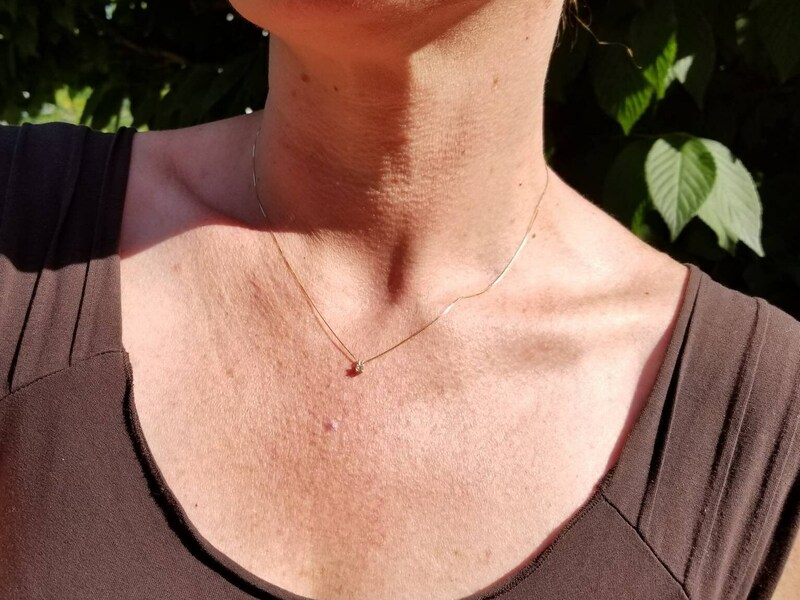 This pendant is very subtle and elegant, a drop of sparkle for the neck. 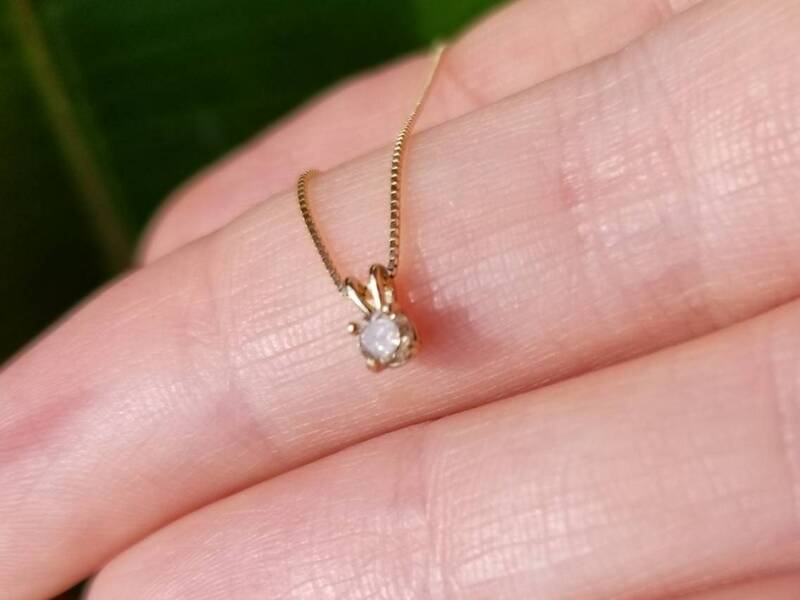 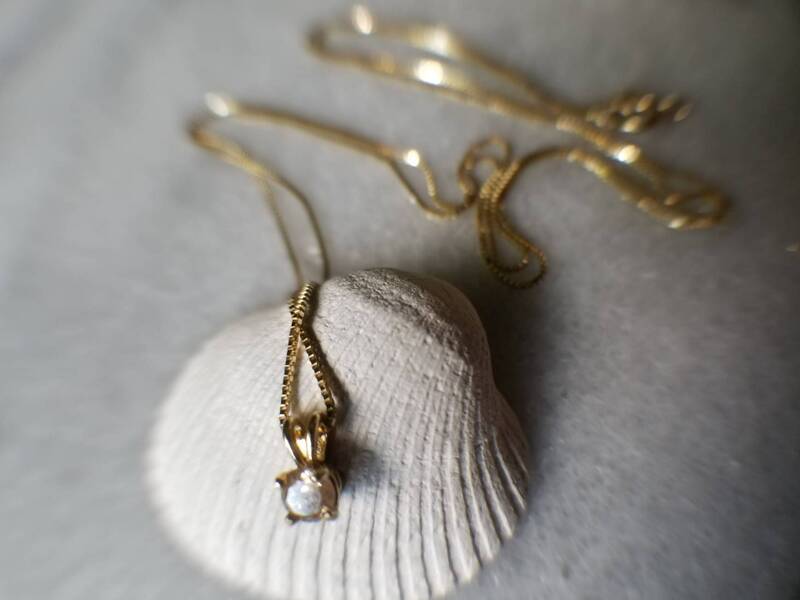 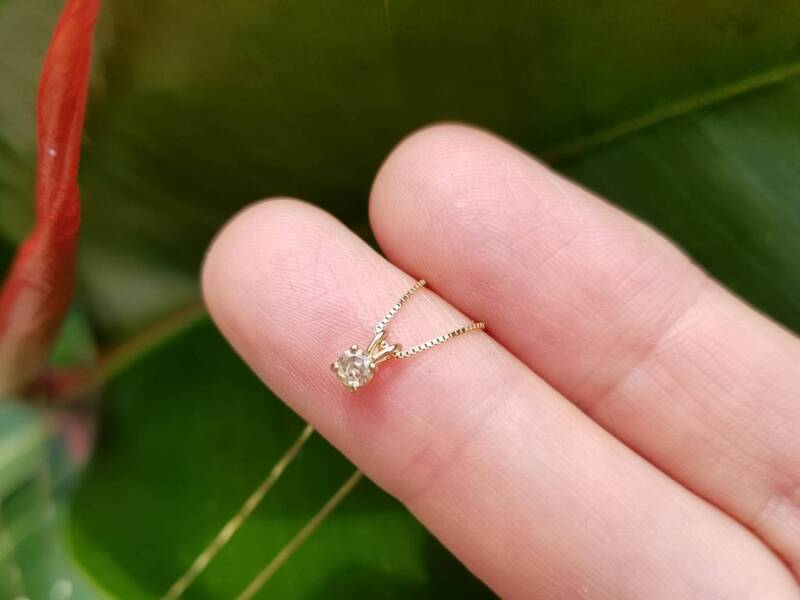 The stone is 3mm brilliant cut, off-white, set in solid 14k gold four prong basket setting. 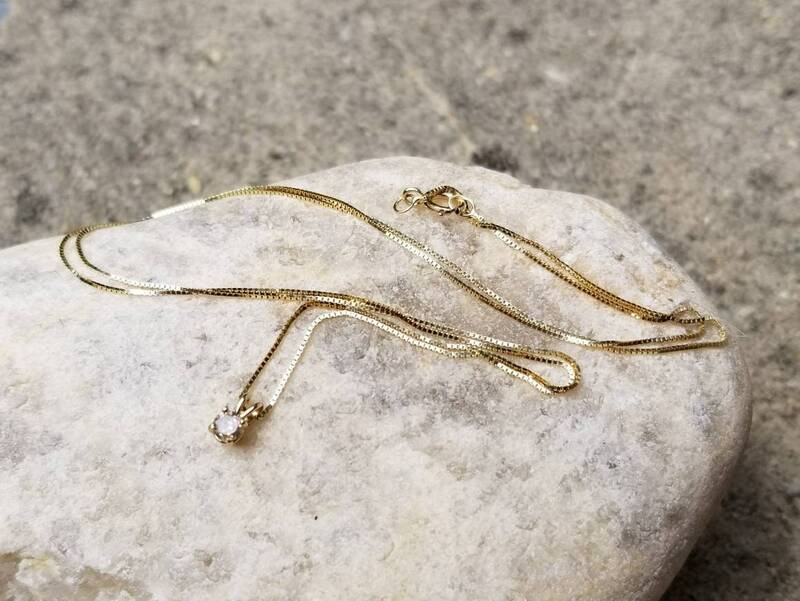 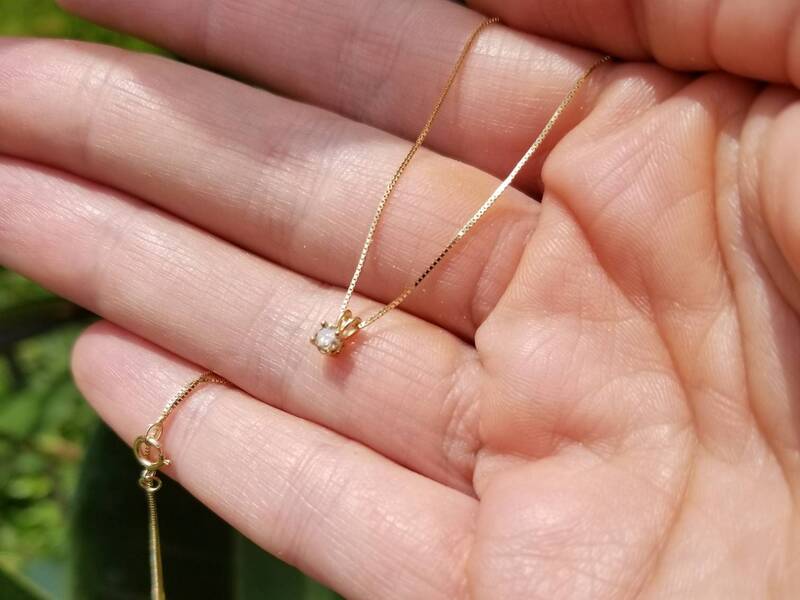 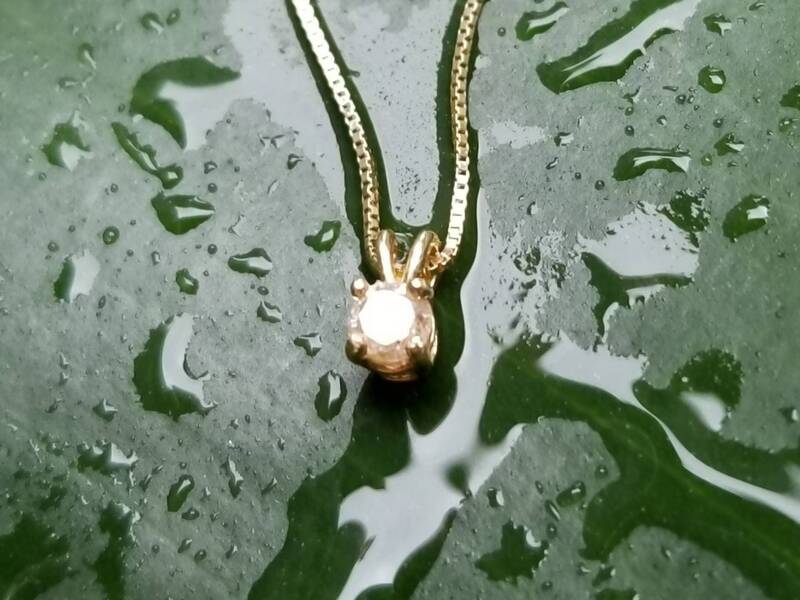 This pendant comes with a solid gold 16 inch baby box chain.